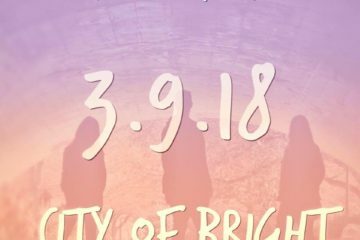 City Of Bright released their new self-titled EP today. We’ve just finished our live google hangout with the band where we talked about everything from their new EP to Jeshuah’s insane amount of shoes, and from their inspiration as a band to Shekinah’s imaginary friend as a child! If you missed it, you can watch it below! The interview starts at 1:27. A special thanks to all the fans who sent their questions in, we hope you enjoyed their answers! Make sure you “Get Plugged In!” to us below as we’ll be posting our review of the EP tomorrow! City Of Bright can be bought on iTunes here. New to City Of Bright’s music and want some video recommendations? Click here.